The Petworth Farmers Market is held on a minimally used block of 9th Street NW. The Washington City Paper reports (Petworth Farmrs Market faces uncertain future due to major parking fee hikes") that the Petworth Farmers Market faces closure because of a massive hike in fees to cover the opportunity cost of potential parking meter revenue during the time that the market operates, because the City Council passed legislation tripling the minimum hourly parking fee from 75¢ to $2.30. Costs to that market increased almost 900% from 2016 to 2017, because of the new law. This is an example of the tension in local government policy, not exclusive to DC, of the use of public space as a way to make money versus its role as the enabling "infrastructure" of community building and placemaking. For example, a few years ago when Montgomery County faced a similar situation, the county realized it needed to look at public space programmers as resources rather than revenue opportunities and they changed their policies about fees ("Two sides of the same coin: how to support community events in the face of high charges for permits etc. 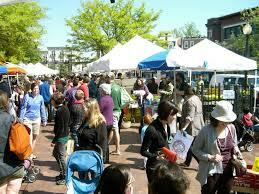 ?," 2011;" "Montgomery County may force Fenton Street Market to Close,"Washington Examiner). Another way this comes up has to do with fees charged to car sharing firms while resident parking permit fees continue to be artificially low, thereby subsidizing resident car owners at the expense of resident car sharing users. See "Car share users are getting abused by the cities that ostensibly support car sharing as a form of sustainable mobility." 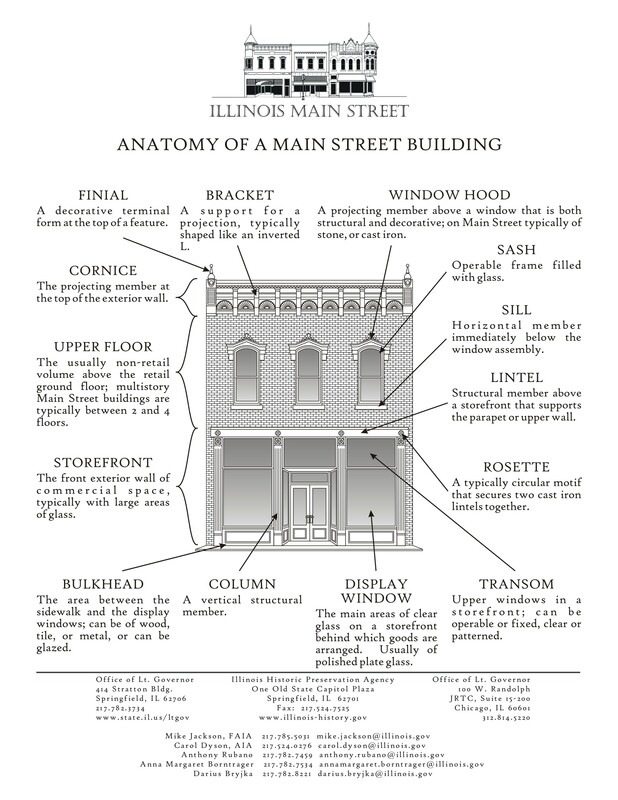 Fees for the use of public space have been an issue for a long time. Dating back to at least 1990, for years this has been an issue in DC with regard to the permitting costs charged to neighborhood groups for street festivals. In 2004, the Mount Pleasant Festival (in my opinion one of the best truly "neighborhood festivals" in the city) got tagged with a $48,000 fine because the inspectors said that tents were bigger than what had been permitted, based on the original application ("Lawmaker to look into fines for festival," Washington Times). This contributed to neighborhood organizers choosing to shut the festival down going forward. My joke about mounting a street festival is that instead of it being a community organization fundraiser, most of the money you raise in exhibit fees and sponsorships is spent paying the various charges assessed by DC Government agencies for putting on the event ("Street festivals and city fees," 2010). Even a two block street festival in Brookland expecting 100s to a couple thousand people (you fudge some on the numbers, because as the number of attendees climbs, so does the required number of official personnel and services, which raises costs)--I ran this event in 2007--cost then about $12,000 in city fees for police, other emergency personnel, inspections, use of the public space, etc. A typical community group doesn't have that kind of money, and regardless of what people might think, it's hard to raise sponsorship monies to pay those fees, and exhibit fees for booths hardly come close to covering those fees. The market in Mount Pleasant is on DC Parks Department land. Different costs for using space controlled by different DC Government agencies. In talking with a manager of a farmers market that uses space controlled by the DC Department of Parks and Recreation, he told me that last year, DPR cut the cost of a permit considerably, by something like 95%. There shouldn't be such a variance in costs based on what agency controls the property. Similarly, many truck farmers seem to operate on school grounds in various DC locations, as fundraising for the school's PTA. Clearly, school farm stands aren't paying anywhere near the costs for permits compared to a farmers market located on a public street. Also Eastern Market's North Hall charges different rates to neighborhood groups versus other nonprofits and for profits, and provides free access to certain types of events and for day time "drop in" programming. Other ways to "get around" fees: the Mayor's Fund. The Cultural Plan does not discuss the fees issue in depth. It does not discuss a nontransparent work-around--the Mayor's Office has a special fund that will pay these fees, usually for special events like festivals. But you have to be in the know and it helps to have a "good and supportive relationship" with the Executive Branch to be able to get them to choose to fund some or all of the DC Government agency costs that would normally be charged. A better way would be to create an annual special events activities fund that would allocate money to each ward to support such activities. In other cities, often there is money set aside for each council district, to pay for these kinds of activities (e.g., in Cleveland and NYC). In Baltimore, a city agency (Baltimore Office of Promotion and the Arts) actually sponsors and operates large festivals like Artscape, as well as the major city farmers market. DC "should" allocate an amount of money for each ward on an annual basis, much of which could be "virtual" (an accounting measure) to cover these kinds of expenses, for events of different scales. The DC Cultural Plan should make this recommendation. 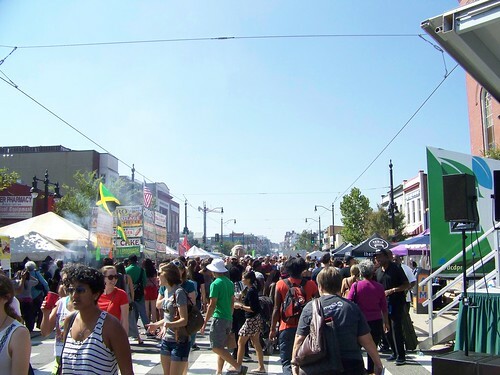 For example, in Ward 6, such a fund could go towards events at different scales and across the ward's neighborhoods, from farmers markets to Eastern Market, for supporting a medium scale street festival like Barracks Row that more serves the neighborhood, as well as funds toward a massive city-regional event like the H Street Festival. 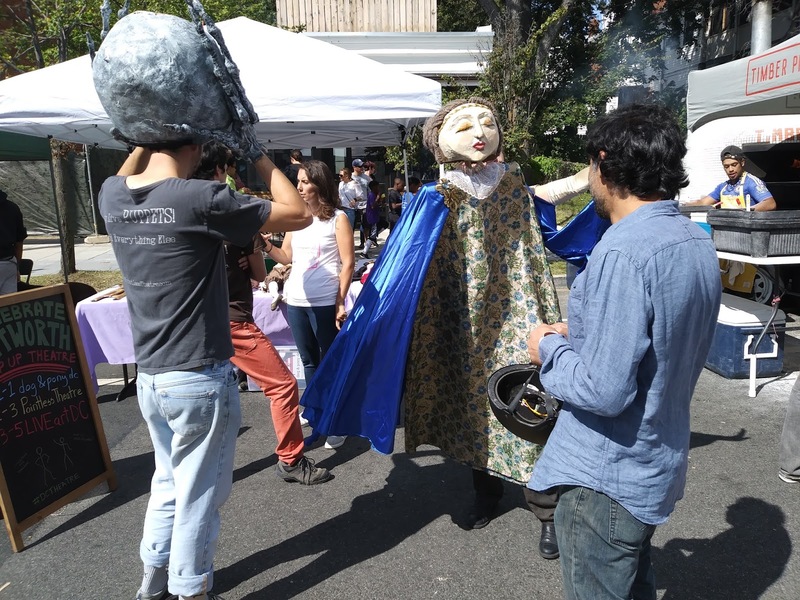 Celebrate Petworth Festival on Upshur Street. 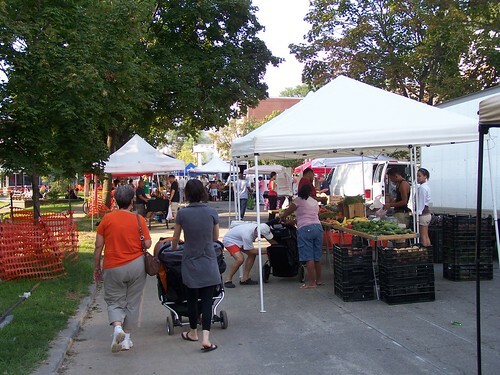 In Ward 4's Petworth, events like the Petworth Farmers Market, Jazz Concerts, Celebrate Petworth Day, Fashion Festival, Winter Arts & Crafts Fair, and First Friday Arts programming could be supported, while other events across the ward would be equally eligible. Etc. These funds should be overseen by citizen committee for each ward, with funds allocated using a participatory budgeting process.